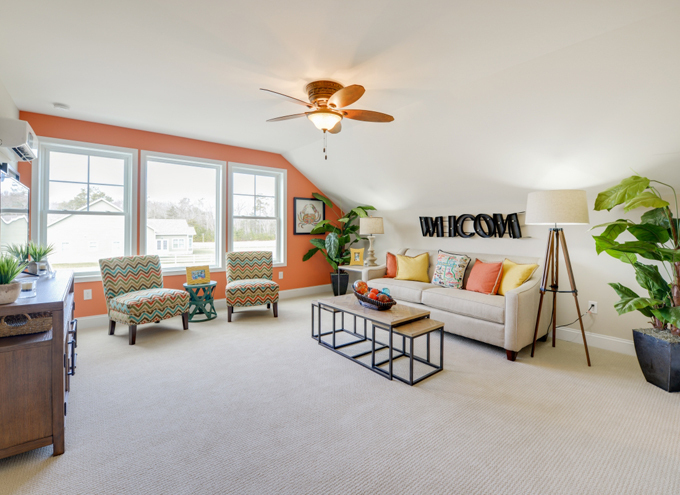 It should be no secret by now that I’m a big fan of Echelon Interiors–their use of color wins me over every time! 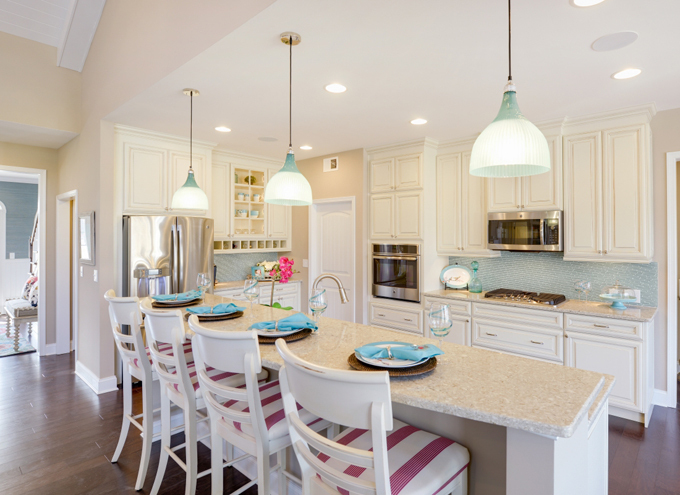 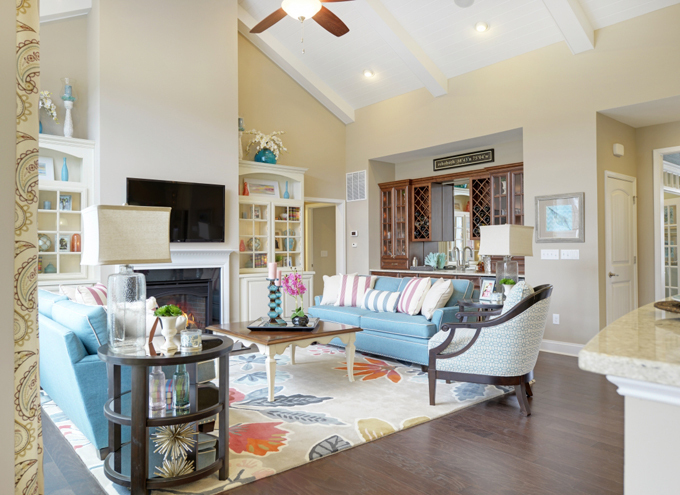 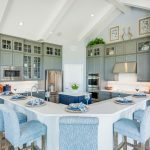 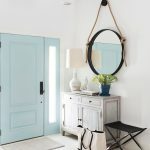 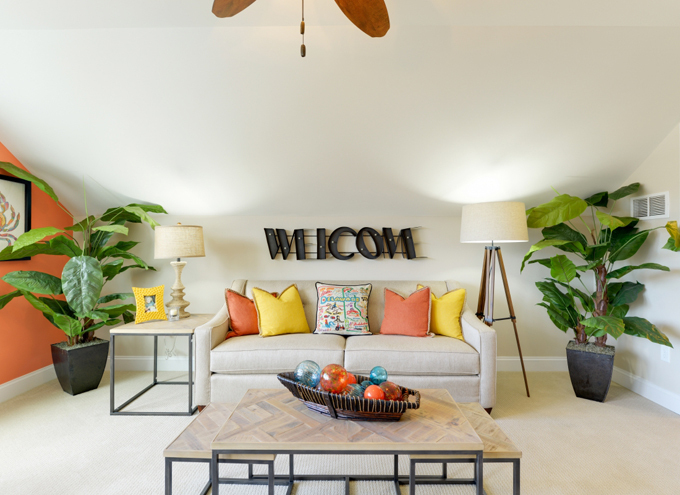 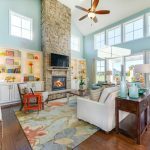 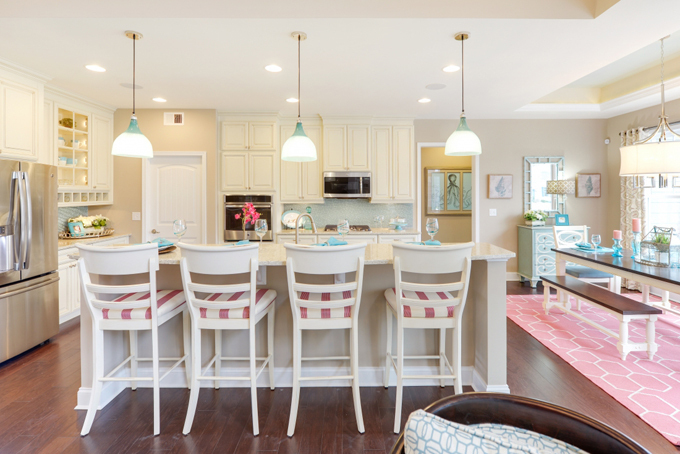 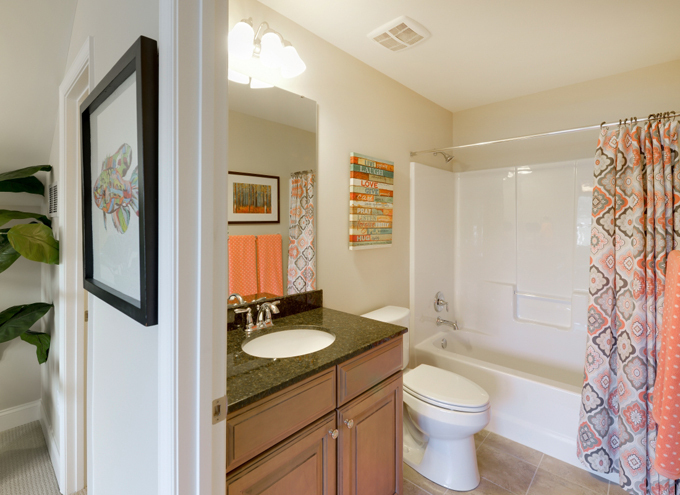 The Mayberry at Bayfront built by Schell Brothers in Lewes, Delaware is one of their recent projects, an open and light-filled model home with a fresh color palette I absolutely adore! 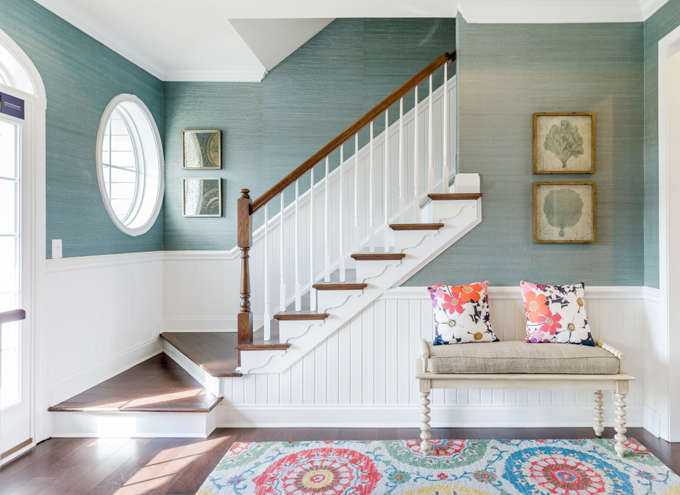 The stunning foyer clad in gorgeous grasscloth wallcovering gives a preview of the cheery colors that are woven throughout the home. 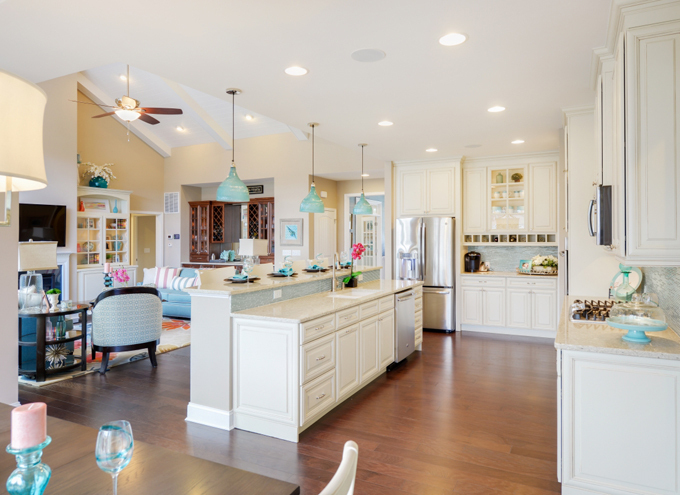 Love the kitchen and family room so much! 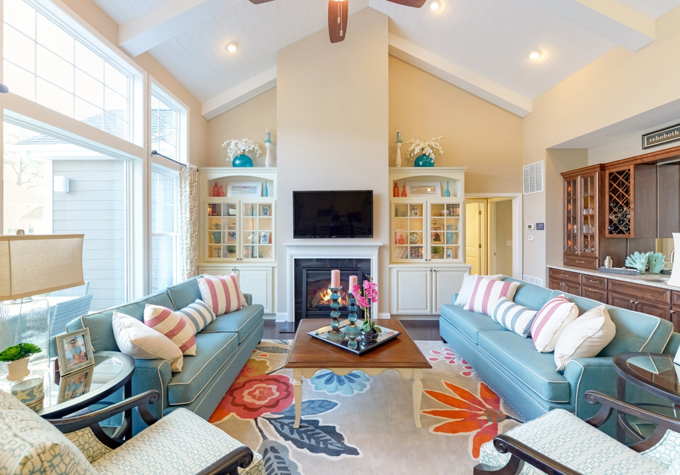 (The floral rug!!) 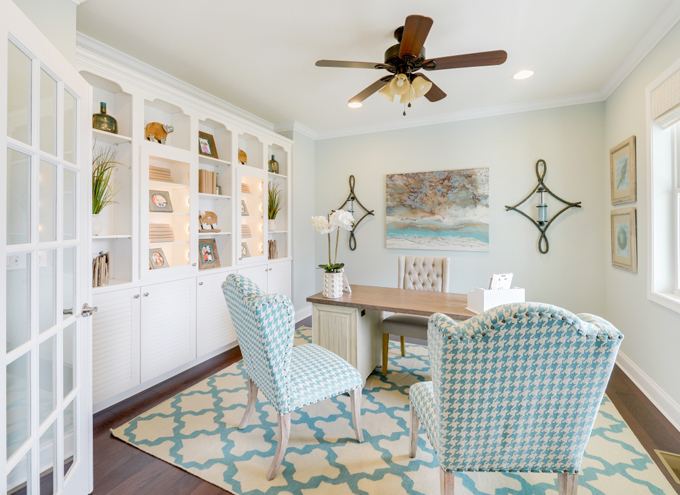 The master bedroom and office are dreamy too…the soft and serene hues are so relaxing, and perfect for the coastal location! 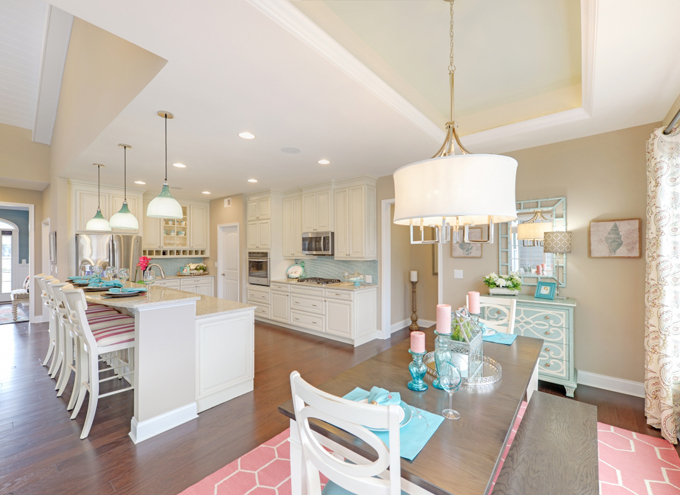 If you’re in the Rehoboth Beach area, you can tour the home in person….for everyone else they have a cool virtual tour, more pics and the floor plan here! 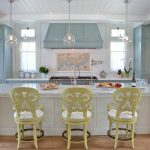 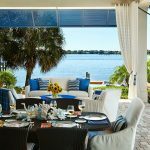 For more of my favorite homes by Echelon Interiors, go here! 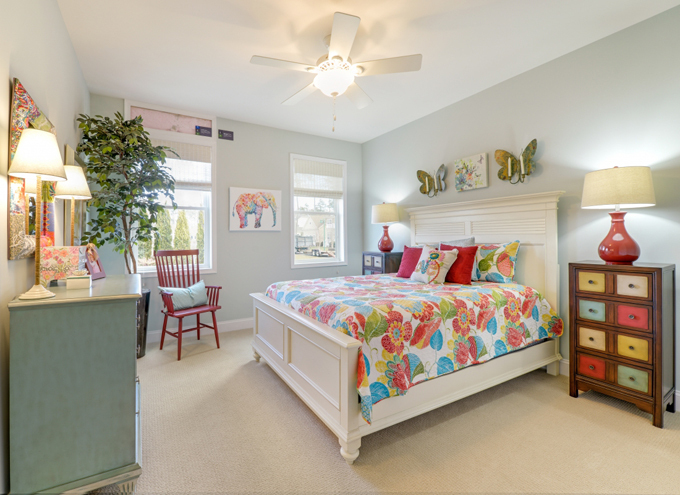 Love all the colors and that wallpaper in the first photo is perfection!